Calendar - Merry Historic Milton Progressive Dinner -Tickets are going fast! Calendar \ Details - Merry Historic Milton Progressive Dinner -Tickets are going fast! Merry Historic Milton Progressive Dinner -Tickets are going fast! 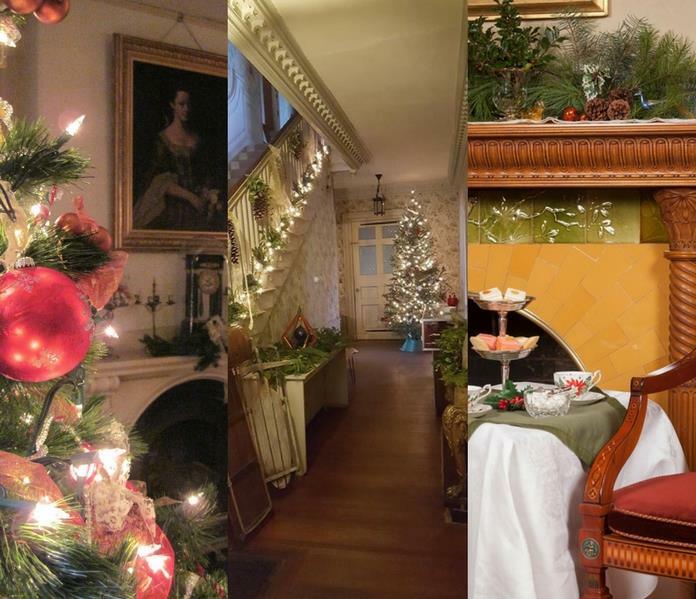 On Friday December 7, join an exclusive progressive holiday dinner at three historic mansions in Milton: Forbes House Museum, the Wakefield Estate, and the Eustis Estate. Each house will be decorated for the holidays and feature one course and a signature drink, drawing inspiration from the holiday traditions of New England. Proceeds support the educational programs of these three Milton non-profit organizations. The tour begins at the Forbes House Museum with appetizers, drinks and live chamber music. Next, enjoy a cozy fireside stop at the Wakefield Estate for the main course, then on to the Eustis Estate for a nightcap and dessert with live jazz. New this year and included with your ticket, take home a professional souvenir photo to commemorate MHM 2018. The tour begins at the Forbes House Museum. Transportation is provided between each site and will return you to Forbes House Museum at the end of the tour. Contributors and donors to the event include Mariposa Bakery of Cambridge, Cypress Catering Company of Milton, Keating Brokerage and Kelley & Rege Properties, Inc.
Tickets are $110 for members of Historic New England, Forbes House, or Wakefield Estate; $125 non-members. 6:00 pm. Return to Forbes House Museum at 9:00 pm. Limited tickets available and advance purchase is required. Buy tickets online at this link or call 857-317-2511 to reserve your ticket. In the event of snow, the tour will be held Friday, December 14. For more information, call us at 617-333-0924.